As a business or entrepreneur, your online reputation and how you interact with customers can directly affect your company's success. Every communication you send through email and every marketing message you relay has a direct impact on whether a potential customer will conduct transactions with you in the future. Yes, you have a message to send and information to impart - but you also have to respect the audience of that message by honoring their time, intelligence, and autonomy. You can't force people to purchase your goods or services by forcing your marketing message down their throats. Part of the art of marketing and promotion is to treat your recipients with respect and deliver your information in a professional, businesslike manner. Here are some no-nos to avoid when sending out marketing emails so they'll be seen in a more positive, welcoming light. Distracting Fonts, Colors, Graphics, Etc. 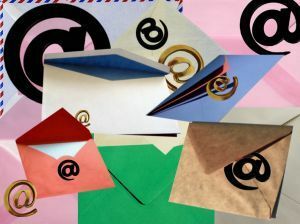 While it's understandable that you want your marketing emails to stand out, realize that filling your emails with hard-to-read fonts, too many exclamation points, glaring background colors, or other distractions can detract from your professional image. Getting a client's attention isn't done with a chartreuse background and silly dancing cartoon characters lining the top and bottom of your message. Keep your marketing emails clean, professional, and easy to read. Too many ellipses, question marks, exclamation points, or other embellishes may make it seem like an over anxious middle-schooler wrote your emails. That's not the image you want to project. Instead, opt for fonts that are easy on the eyes, big enough to read (but not too big! ), and in black type on a white background. Your emails reflect the philosophy of your company and should project an attitude of trust and confidence. If you must add a graphic, include your company's official logo. Don't try to add cutesy graphics that express inappropriate humor. Emails should have value and shouldn't be sent too often. Otherwise, they could end up in the junk mail folder. Just because you can send marketing messages through email, that doesn't mean you can force the recipients to read your messages - or keep reading them after they've tired of it. As much as you want to promote your business, once you run afoul of current or potential customers, you will have a hard time bringing them back. To preserve your positive reputation, always give your recipients a way to opt out of your emails. Be sure it's clear and easy for them to opt out, and don't make them go searching for the instructions on how to do so. Sometimes people want to take a break from all the mail in their inboxes, so just because someone unsubscribes doesn't mean they won't resubscribe in the future. Honor their wishes by immediately processing their opt-out request and they may rejoin your marketing list in the future. Nothing is more annoying than receiving an email with missing images or videos. Although it may seem like a cool thing to include, many recipients may not be able to view your embedded images or video. Instead of detracting from your written marketing message by making people wonder what's missing in your email - and how to make those images show up - forgo their use altogether. Instead, you can point potential customers to a blog or a site that displays the images or videos for easier viewing. When it comes to designing marketing emails, keep it simple and direct. Don't introduce any elements that can complicate things or that will unnecessarily obscure your message. As a final tip, have a look at blogs such as reviewreputation.com for extra assistance. 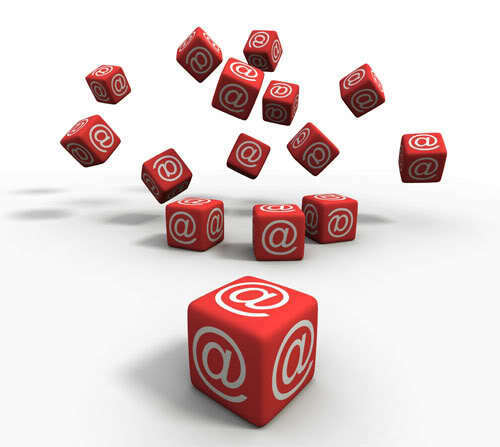 Email marketing is an important aspect of any business in this day and age. Be sure you guard your reputation by only using ethical methods for marketing your company's products and services through email. It's imperative that you ensure your actions won't hurt your good standing with clients and other professional associates, now and in the future.